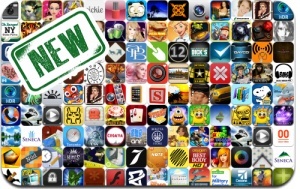 iOSnoops is constantly on the lookout for new apps, and here are 123 iPhone, iPad and iPod touch apps released recently. This new apps alert includes Word Chums, Play Blackjack, Zombie Chasing, Babysitting Rush, Squeaky Clean, Guardian Cross, Lich Defense, Enchant U, Shufflepuck Cantina, Oh Hi Octopi, Linkies, Soldier vs. Aliens, Jewel Dragon, and many others. Developer: Zhuang Liu || Version: 10.